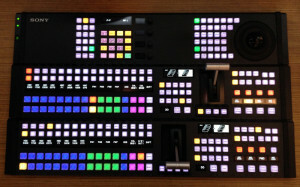 At IBC 2012, Sony launched a new 2 M/E midrange switcher, the MVS3000. This year it gets an upgrade – the new MVS3000A now supports DME, aux mix and four different panels. 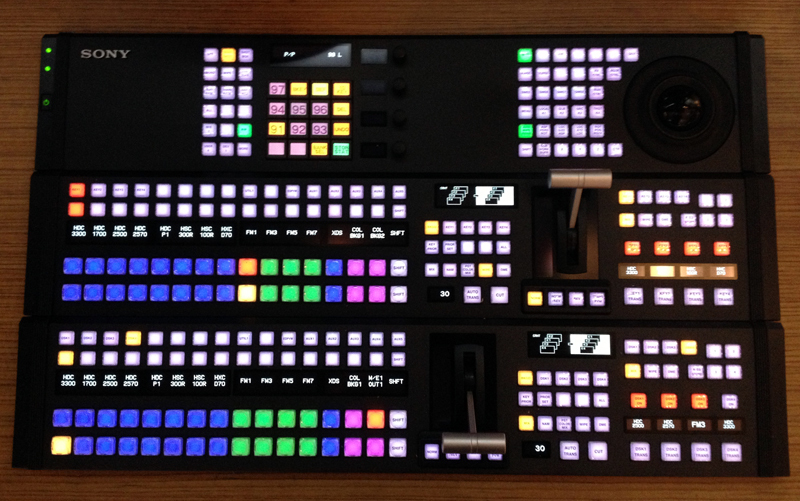 This one is the smallest, a 16 button compact panel ideal for small OB trucks or studios with limited space. The big story on the stand is 4k television production – a picture that has the resolution of four full HD images. Sony’s showing a complete camera-to-monitor workflow that delivers stunning images for those whose living room is big enough to house a huge telly.